Oh shucks, wrong folder. 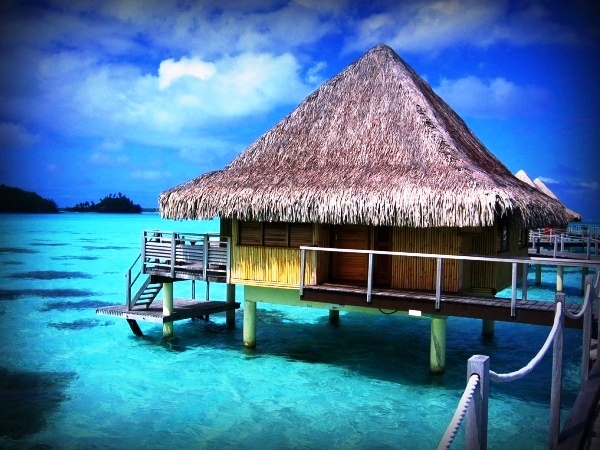 That is just a random (and very professional) internet photo of Bora Bora. But the view out my window ain’t so bad…and my camera is pretty old school. Thanks to all the supporters yesterday (over 500 views) and to all the positive messages and backup that I got about my blog. Let me just say it one more time. I am not trying to bring down this town or this country. I live here by choice! I could spend 2 years solid poking fun at my home state of NJ. (And I love it there too). Snookie? Pollution? Big hair? The accents? Jersey-licious? Gangsters? Pork roll? The smell on the Turnpike? I am not trying to offend anyone. It is only MY sense of humor and my little slice of the place I now call home.